The only doves suitable for Dove Releases are well trained Rock Doves, otherwise known as Homing Pigeons. Our Homing Pigeons are far from the pigeon at the park or what is referred to as the Feral Pigeon. Our Homing Pigeons can find there way home from distances as far away as 100 miles but we keep it to 50 miles. It is as simple as it sounds. 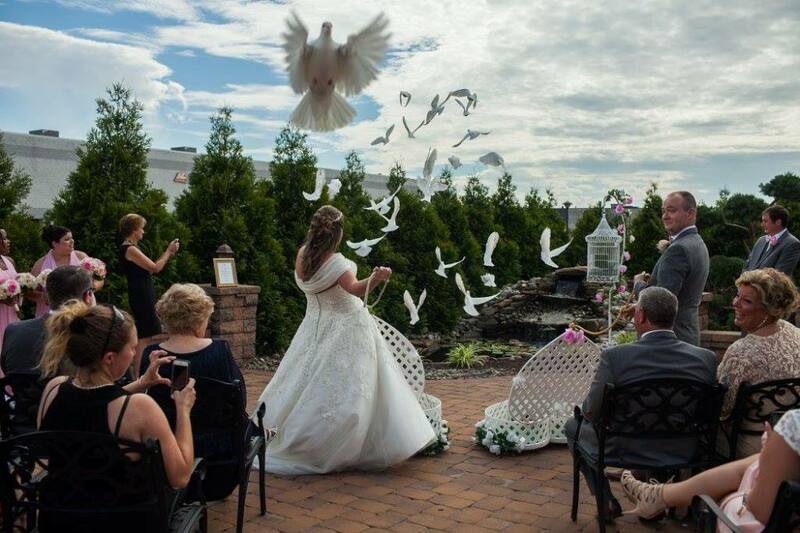 White Doves are released into the sky during a selected time at your special ceremony. These birds have built in GPS systems that guide them home after much precise training. They love to fly and use their skills.